On March 30, 1981, Hinckley, a feckless off-and-on college student, fired his Rohm RG-14 revolver six times at President Ronald Reagan as he left the Hilton Hotel in Washington, D.C., after a speaking engagement. A ricocheted bullet hit the president in the left lung. Other shots resulted in a catastrophic head wound to Press Secretary James Brady and lesser injuries to police officer Thomas Delehanty and Secret Service agent Timothy McCarthy. 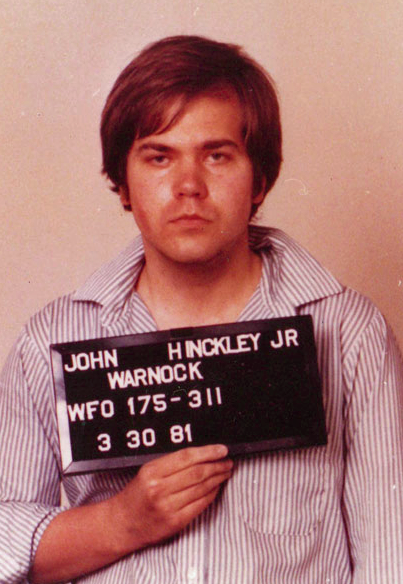 Hinckley later claimed that after seeing the 1976 Martin Scorsese film Taxi Driver, he became obsessed with the young actress Jodie Foster and believed that he could capture her attention by killing the president. He was found not guilty by reason of insanity and was confined to Saint Elizabeth’s Hospital in Washington, D.C.